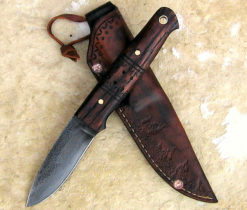 This is my wife’s knife. 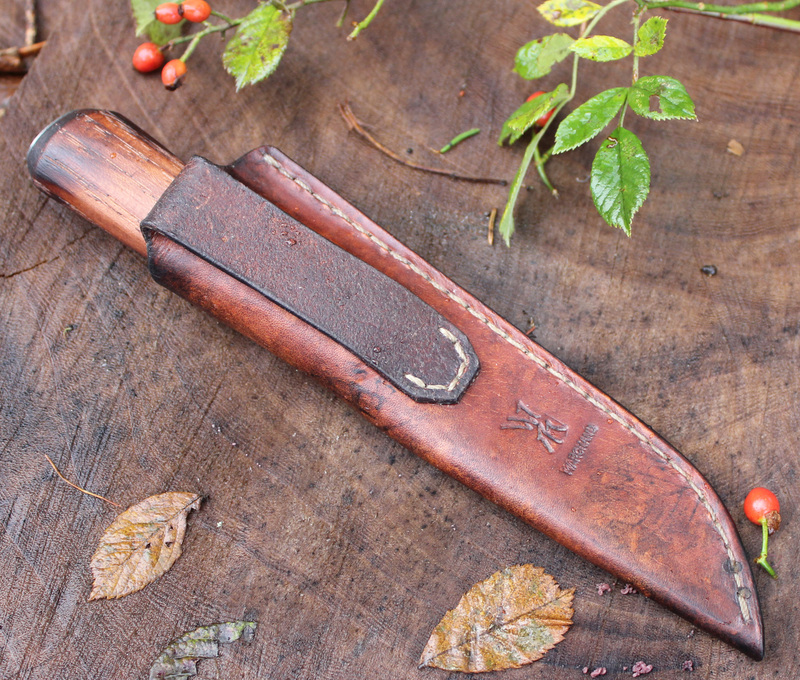 It is designed for general cutting and whittling. 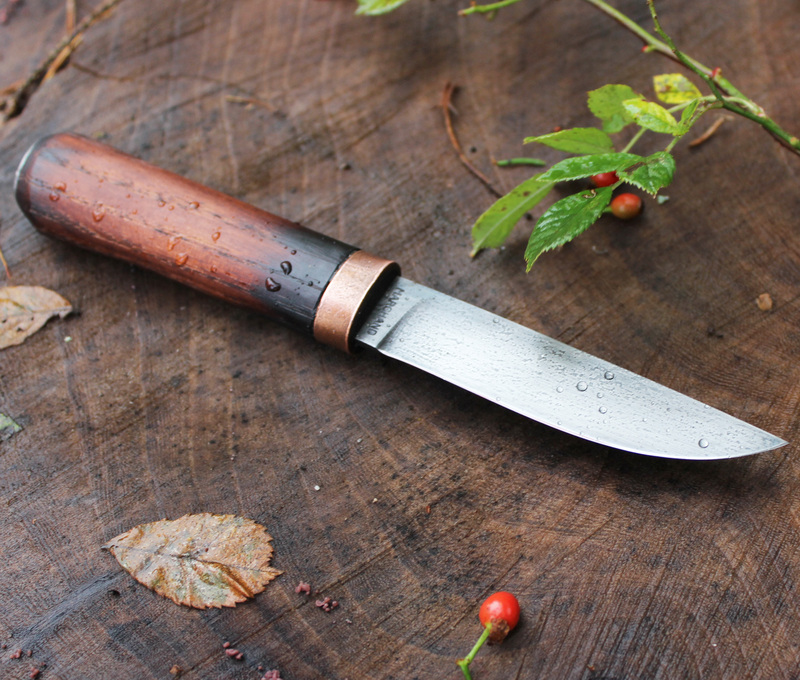 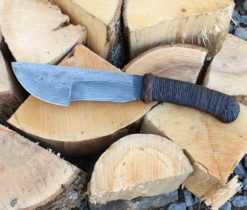 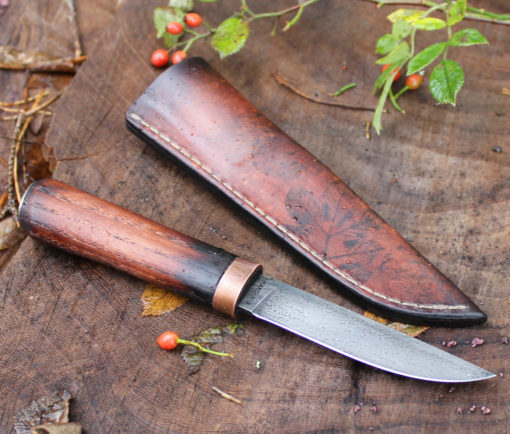 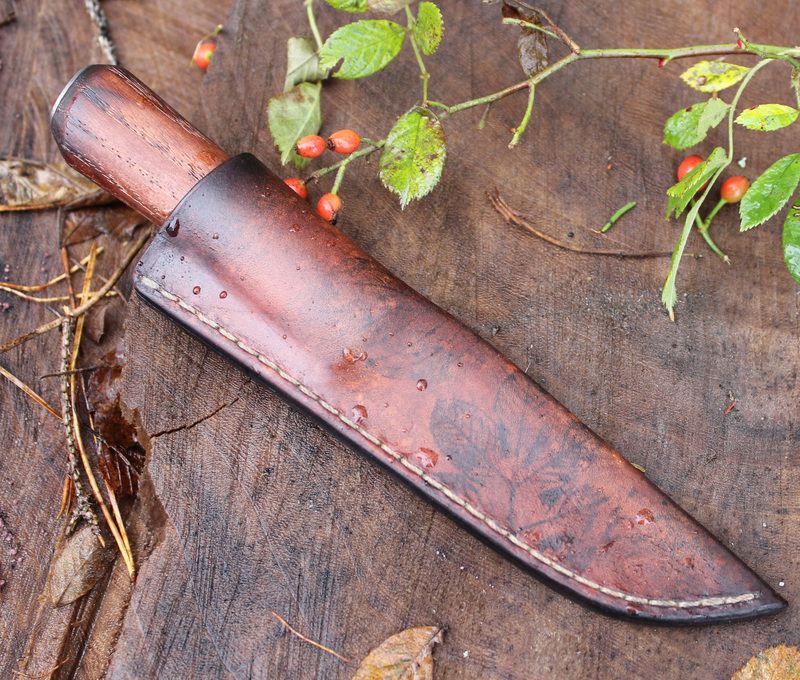 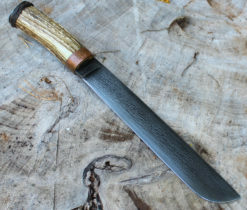 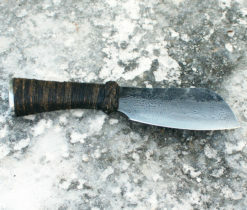 I wanted it to be small like a paring knife and the puukko style seemed to lend itself well to the task. 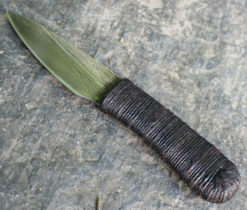 Note: The sheath is her work not mine. 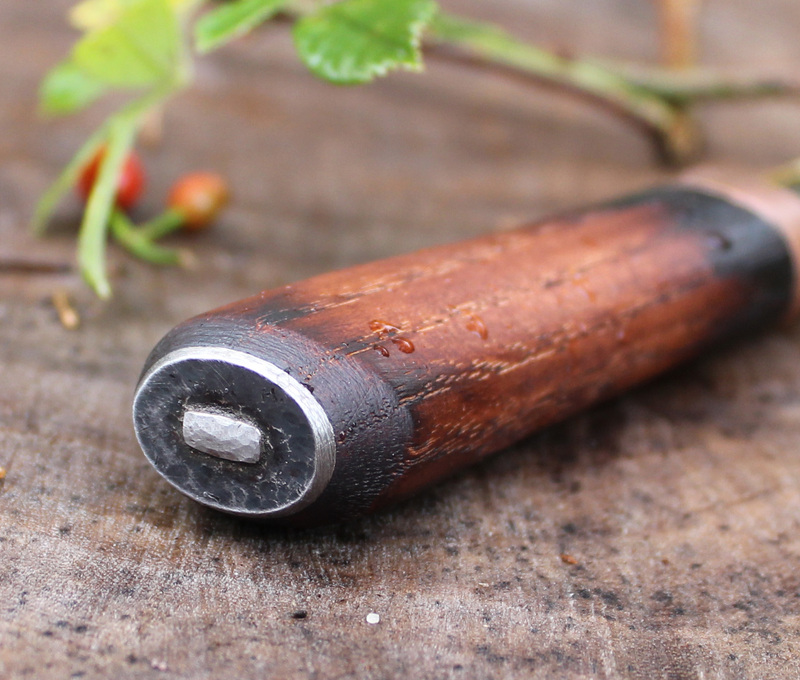 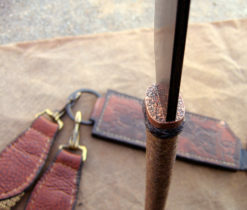 Handle Construction: Oak handle, through tang, copper ferrule, mild steel pommel cap. 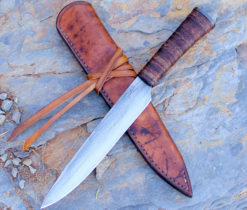 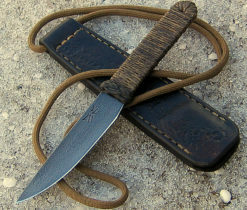 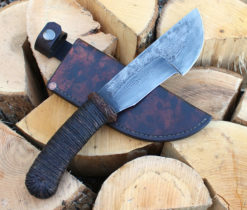 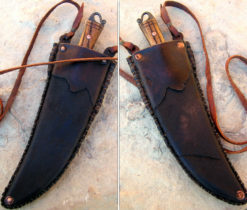 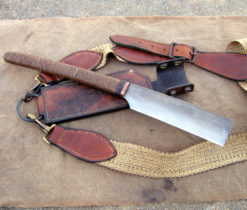 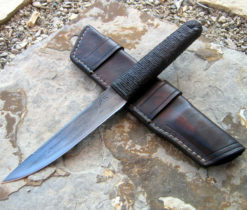 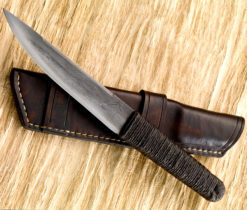 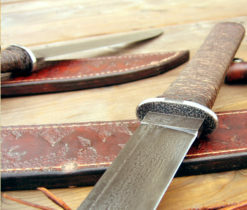 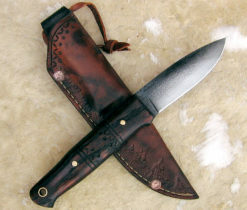 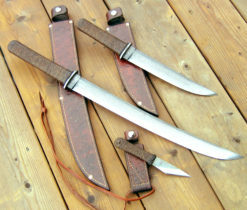 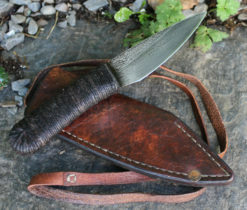 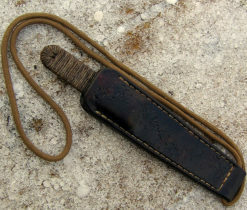 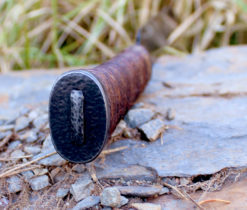 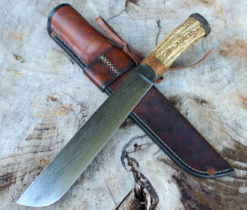 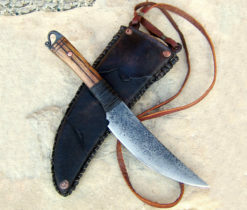 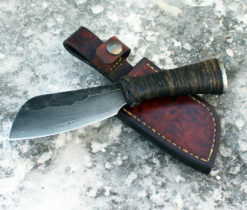 Sheath: Leather, hand stitched, dyed and wax dipped.